Here you will find easy-to-understand answers for gate repair questions frequently asked by home and business owners. How can I fix my rusty gate? Most gates are made of steel or wood. They have hinges that rust due to changes in weather. Rusty gates and hinges are easy to fix. The trained team of Gate Repair Tujunga suggests that you scrape off the rust with a wire brush and apply oil or grease on the hinges. As for the frame of the gate, you can repaint if desired. What can I do if my electric door is not closing? 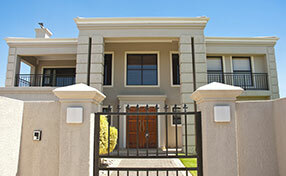 For mechanized, motorized or automated gates, the controls are often the ones that malfunction. Experts of Gate Repair Tujunga suggest checking first if the power is on. Then check if the controls are receiving enough power. If these two initial steps do not work, check if the device or control needs battery change. There also might be something wrong with the mechanisms of your electric door. Photocells have a receiver and a transmitter and they help in stopping the gate in its closing cycle. If the photocells detect an obstruction then it stops the gate from closing as the beam between the transmitter and the receiver is broken. Do gate ornaments serve other purposes? 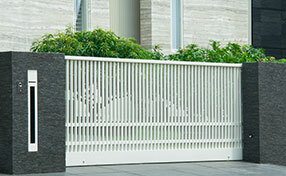 Ornamental iron gates are the common types to have designs. As the name suggests, the ornaments are for aesthetic purposes only. However, some designs can involve sharp protrusions can help deter malicious intentions as they make the gate more difficult to climb or breach. How to deal with wind loading on solid sliding gates? Solid sliding gates are subject to wind loading, which tends to put considerable pressure on the gate. 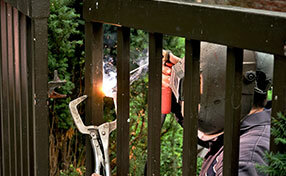 Gate repair experts in Tujunga recommend more frequent inspections for solid panel gates in windy areas. The sliding gate wheels or rollers should be regularly checked for possible damage. It is also advisable to use a more powerful gate operator. My swing gate touches the floor, what does this mean? Swing gates can be installed incorrectly, which can lead to the post holding the frame up to become unbalanced. As this happens the gate will lower over time. It will continue until it reaches the point of scraping along the floor. The post needs to be realigned by a professional.